But one of the amendments that was suggested by a legislators has to be the most idiotic, faith-based things you can imagine, especially when it comes to a bill about online gambling. State Rep. Jason Powell, a Democrat, suggested an amendment to the bill that would’ve prohibited any gambling in the state on holidays (including Easter, Thanksgiving, and Christmas) and Sundays between 3:00-10:00pm. Powell wants to make sure we honor God properly. So let’s gamble… but not at 3:00pm on a Sunday, y’all, because God wouldn’t like that. 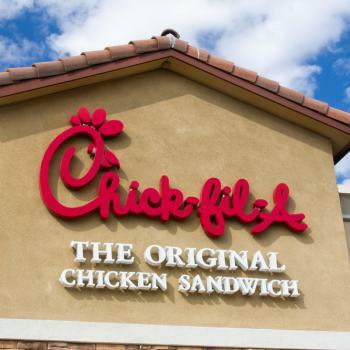 The bad news, for the state at least, is that the bill appears to be stalled for a variety of other reasons and it doesn’t look like it’s going to pass. Which means that, for now, everyone gambling on Sundays and holidays will continue to do it illegally. 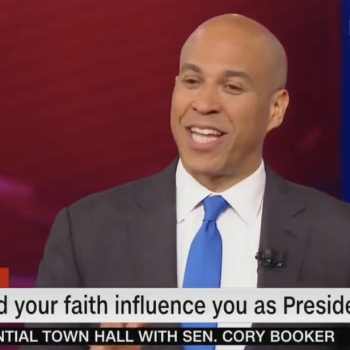 Cory Booker: "I Would Rather Hang Out With a Nice Atheist Than a Mean Christian"